What is Calabrio One ? 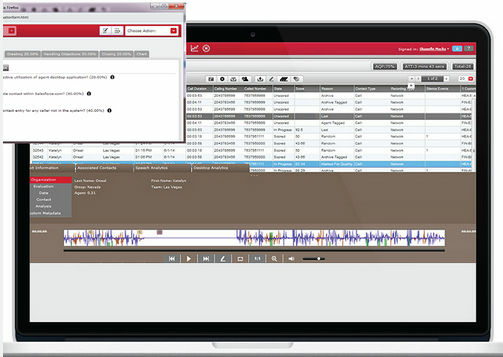 Powerful call center with cross-platform reporting tool. It is one of the powerful call center solution that helps you to build a modern contact center. 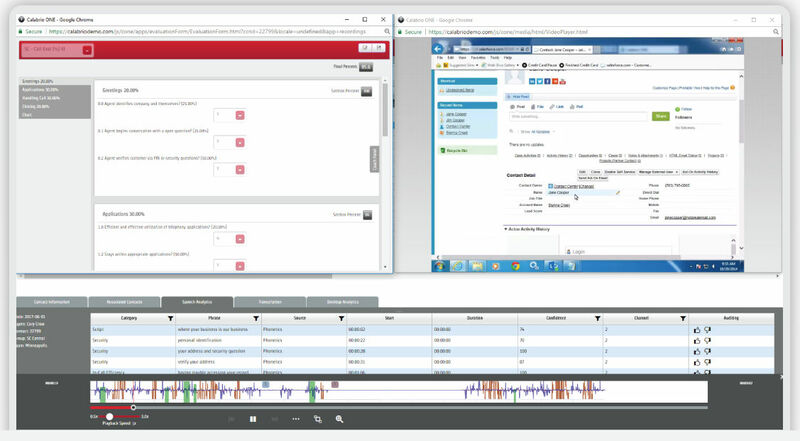 It allows you to create a central command center where you can manage all the inbound and outbound calls. Using this software, you can monitor all calls in real-time and it auto-records every call that can be used for quality analysis. It has an advanced analytics feature which tracks all customer interactions and extract insights. In addition, it has cross-platform reporting tool which collects all the interaction data and generates an effective report. Using its customized dashboard, you can deliver instant feedbacks to your agents by monitoring their calls. How much does Calabrio One cost ? 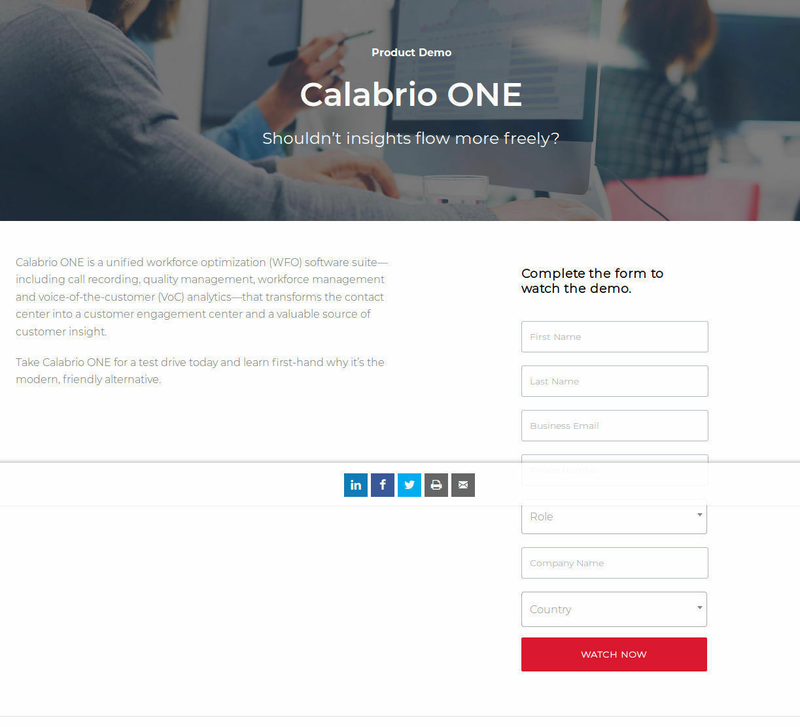 Calabrio One provides a custom pricing for their software. Please contact the vendor to get detailed pricing. 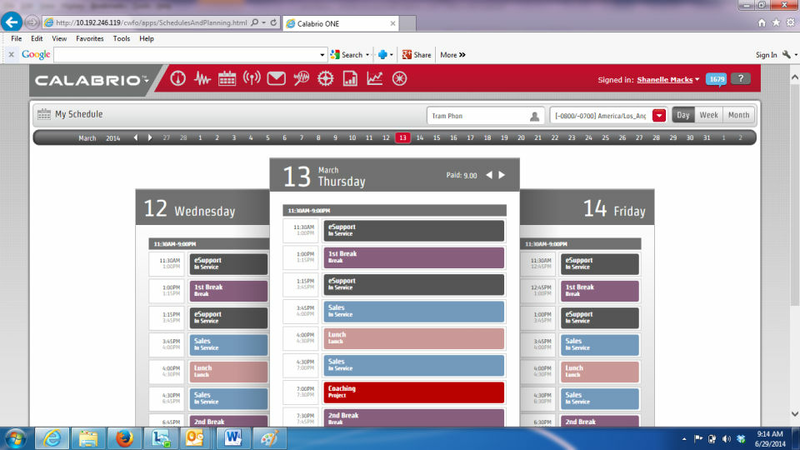 Cons: In my role I use Calabrio primarily for workforce management, and that portion of the platform is still evolving. 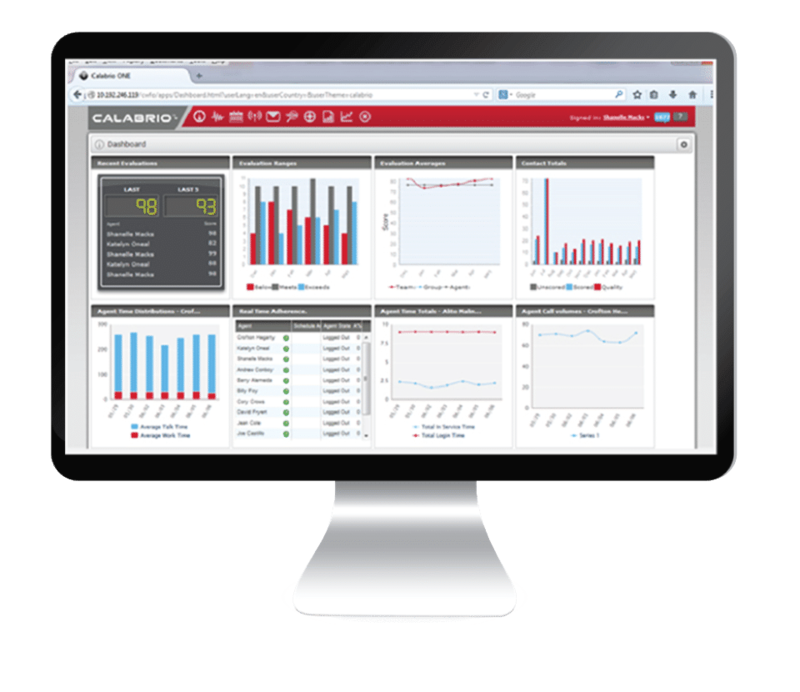 If you are a company that has never had a workforce management platform, Calabrio may be a great entry point for you. If you have already used or are currently using one of the other industry leaders, be sure to do your research, as some features you are familiar with may be quite different in Calabrio. Their approach to shift bids for instance--steering away from traditional shift bids to their hallmark dynamic scheduling model--may be a challenge for companies continuing a traditional shift bid model. Overall: Calabrio One's call recording portion is full featured and easy to use; their quality monitoring portion is equally set to allow users to create multiple call quality forms and track variations on call quality monitoring. The workforce management portion still could use a few more features, but overall it's seamless to navigate through these portions of the tool. Amazing tool it is !!! one of the best in the market !! Pros: It is quick to install and very user friendly. It can easily filter and search recorded calls. The quality management component is also easy to use and it makes it easier for the CRM team. Sound quality is also quite good. Easily navigatable as well. Cons: At times qualiy reports would be the same and ot quite accurate. Upgardes does not run smoothly as expected. Needs improvement in functionality and features. Overall: With some improvements in functionalities and features, this could be one of the best softwares in the market. Pros: Having all the tools within a single application. I am able to switch from one too the the other without having to open a new browser window or launch a new application. It also makes it easier to have a more wholistic view of what is happening within your contact center because the reporting is also intergrated. 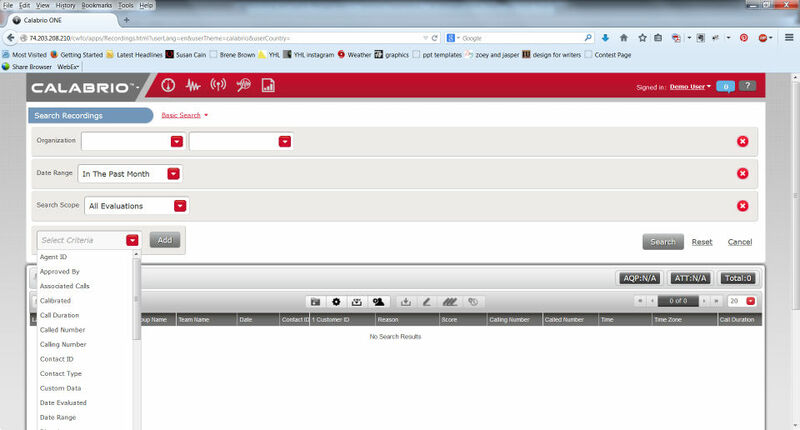 Cons: Some of the back end configuration is not as straight forward and intuitive as I would like. Overall: We have been able to see great improvements within the contact center since we started using C1. 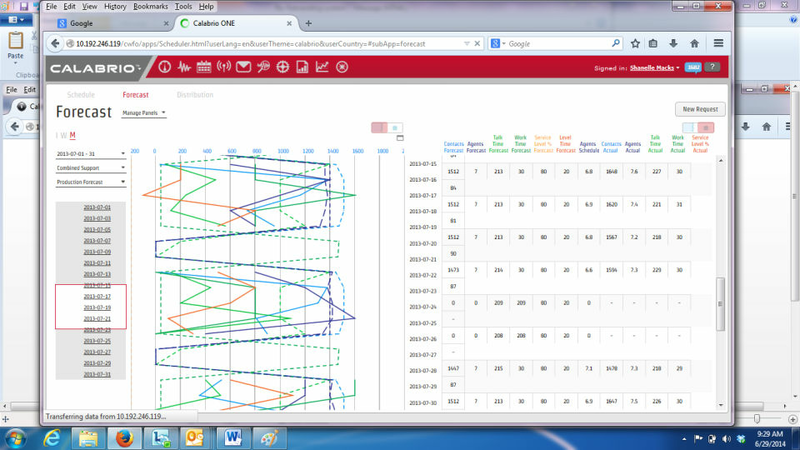 The team helped us optimize the tool for our needs to achieve 95%+ accuracy in forecasting. I like having all of Calabrio 1 tools in a single interface. I do not have to open multiple web pages or applications to manage any of the tools for my operation. The back office/configuration interface is not as intuitive as I would like It is not as straightforward for those that may not be a power user if the software. We began using Calabrio to help manage our workforce. The Calabrio team assisted in helping us configure the tool to suit our needs and helped us find ways to better optimize the workforce by identifying gaps and other areas where we had an overage of resources. "Calabrio is a great company by innovating their program to stay a front runner in the WFM world." What I like about Calabrio is the innovation of the system. They take feedback from their customers and make changes to make the program better. WFM has a great request feature where agents and submit their own requests. Workflows to help automate our companies processes. Calabrios customer friendly customer service is a World class experience. In the WFM world, Calabrio is the only company that I found that is willing to push the envelope and listen to the user and implement the user ideas into the software. Forecast is accurate and know what call volume will look like on a 5 year plan. By using the WFM program this has helped us making sure we have the right people in the right place at the right time. Pros: Everything you need is one click away. The program is easy to use. One of our favorite items is the workflows, this allows us to automate our processes to be able to manage our scheduling effectively. Cons: The consistent bugs during implementation through upgrades. Overall: We are using QM and WFM to help solve complex situation. Calabrio is a company that will listen to feedback and will make changes to the program based on customer needs. "Exceptional Product and Support for the Price"
I greatly enjoy the product as a whole, it is everything my organization needs. The support and community behind the product is top of the line as well. Absolutely nothing. I have not found one feature I did not like. Make sure you work with the technicians so that it is setup exactly how you want it. Also, join the community and keep up with the discussions as Calabrio implements features straight from it's users recommendations so if there is something that you want to see, let them know as many others that use the system may want to see that as well! Calabrio ONE is an exceptional Workforce Management solution that helps to make sure my organization is on top of staffing and hiring needs to be able to handle forecasted volumes. Pros: The product as a whole does everything that is needed by my organization. Support for the product is top of the line. Overall price point for the product is perfect as well. Cons: Absolutely nothing. I have absolutely 0 complaints about this product. "Calabrio's Engagement is off the Charts"
Intraday management and it's best! Forecasting and firm dates are a must. The dashboards are wonderful. Reporting is generally easier than running out of our phone system! WFM makes my life so easy. I want to add comments when exceptions are manually entered to a schedule already ran. Be as involved in the integration process as possible. Ask questions!!! Forecasting! Seeing call trends now that we have been open for a year is showing wonderful growth! 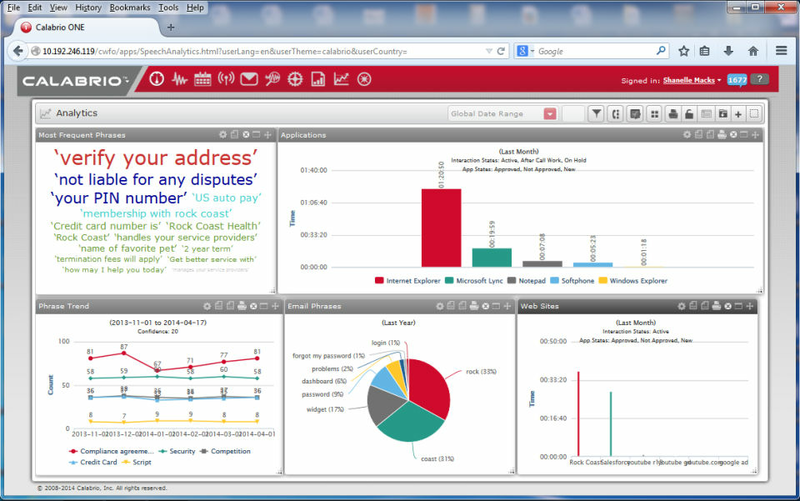 Analytics is getting better and better with transcripts, sentiments and so much more! 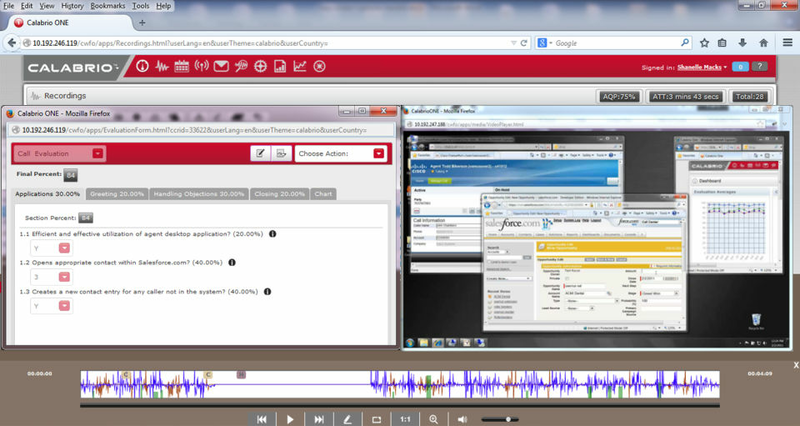 Pros: This product is consistent in providing quality call recordings for our use. Once recorded, Calabrio provides a very user friendly search capability that allows front line managers the ability to extract exactly the information they need. Cons: I find the reporting feature in Calabrio to be the bare minimum and does not really provide much useful information. Overall: Our overall experience has been very positive. We have been able to provide the front line managers with useful and timely trend information. this information allows management the ability to see how their teams are succeeding as well as where they are struggling.